Mi Band 1s vs Mi Band 2 – which is better for HR measuring? I used these two Xiaomi Mi Bands on one hand for a couple of days to make an experiment. On its basis I made some general conclusions as well as conclusions concerning continuous heart rate measuring. I used Mi Heart Rate app for it. I measured my heart rate during activity (walking) and during rest. The screenshots are presented below. It can be seen that the data shown by each band is quite similar. The small difference can be explained in the following way. My maximum heart rate is 190 beats per minute. That means that during the light workout my heart rate is 95-114 bpm. 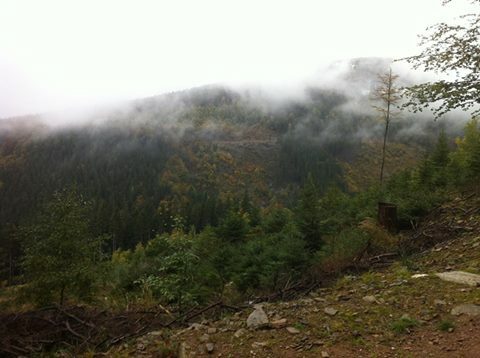 Mountain hiking is an example of the light workout. Even though the hr measured by Mi Band 1s and Mi Band 2 at the same time is a bit different, it is still the light workout hr zone. 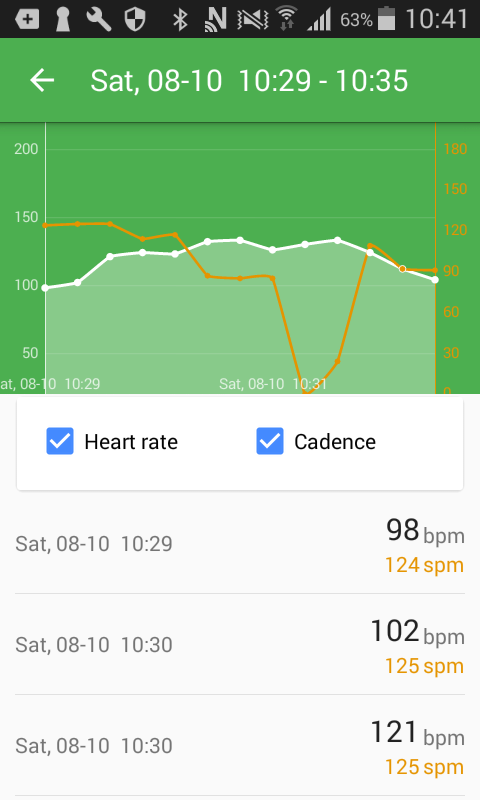 The orange line on the screenshots from Mi Band 1s shows cadency (the number of steps made each minute, spm (steps per minute). At the moment this feature is available only on Android version of MiHeartRate app. It is also shows that I was walking and stopped for a moment. In order to make this experience closer to You I attached the photo of the landscape I had a pleasure to enjoy while walking. Feel free to write comments and questions below. Hello, thank You for the interest in Mi Heart Rate and for supporting its development. 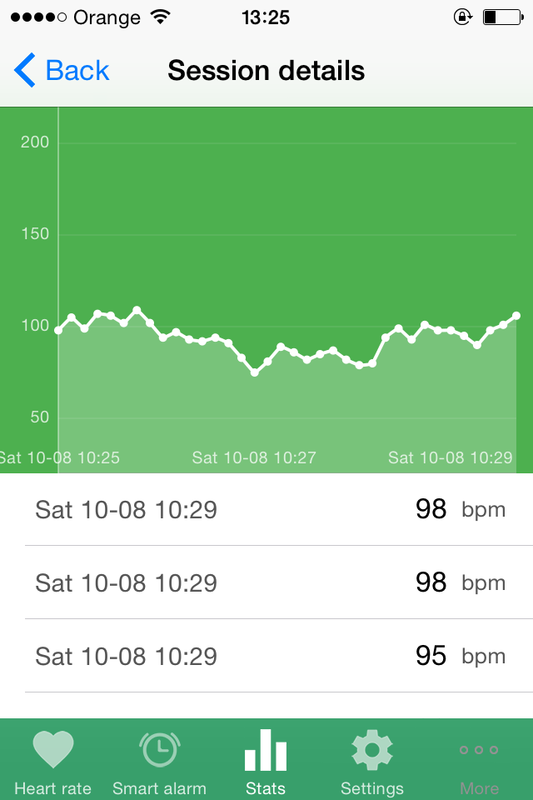 If You use iOS system, try these steps: https://www.youtube.com/watch?v=Fi-NlLVYlS0 and try to measure Your heart rate in Mi Fit app or at Mi Band 2 screen before You measure it in Mi HR app. That will activate heart rate sensor of Mi Band 2 and Mi Heart Rate should work. If that would not help, try reinstalling Mi HR. Let me know if You are able to measure Your heart rate in Mi HR app now. 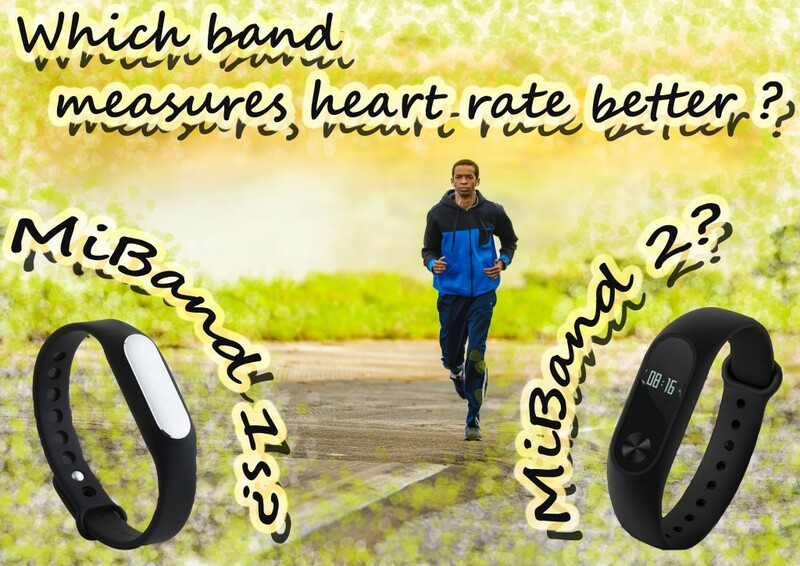 Poprzedni Poprzedni wpis: Mi Band 1s vs Mi Band 2 – which one to choose?